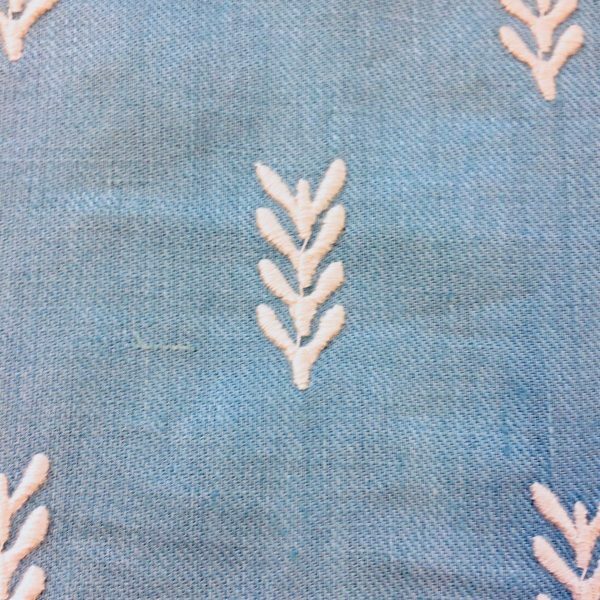 Product code: X23 Categories: Blues, Creams & Whites, Floral & Trees, Geometric, Honor Murray Interiors - Unbranded, Luxury Fabric, Mixed Blend. 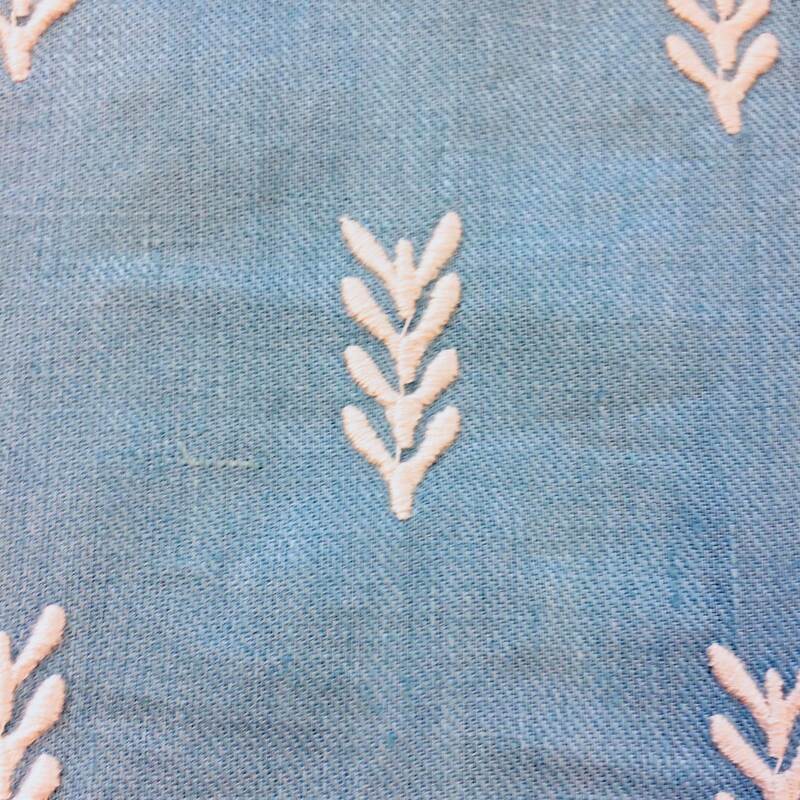 Acanthus Leaves in Cornflower Blue is a contemporarily styled fabric. 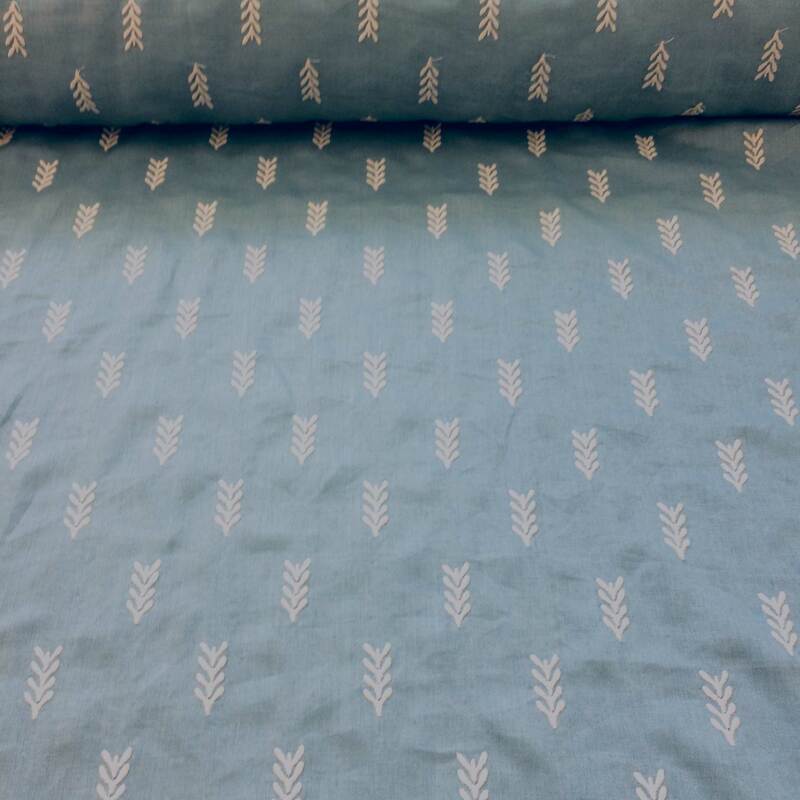 A delightful cornflower blue is the base of this fabric. The pattern is created through an embroidered design in cream. The embroidered detail is of acanthus leaves in a geometric arrangement. The colour and pattern are light and fresh. We suggest using this fabric in a sitting room or bedroom. 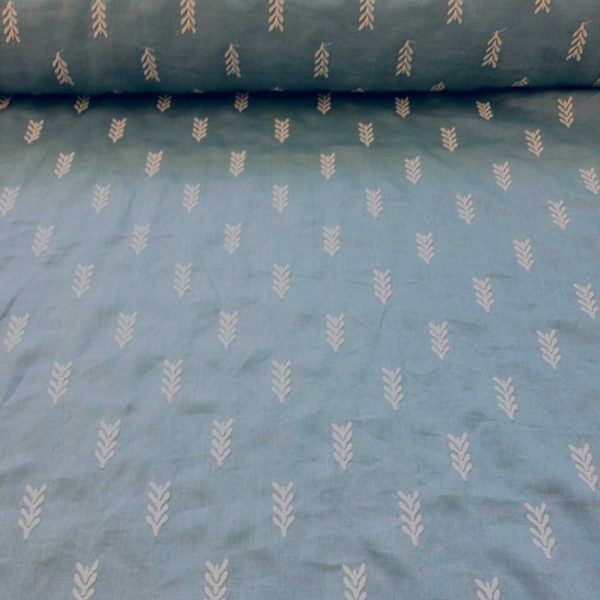 Customers looking to add colour and an unfussy pattern to a room, this fabric would be a great choice. The fabric composition is a mixed blend of linen and cotton. This gives the fabric a good strong quality while being breathable and soft to the touch. Subsequently, customers can use the fabric for curtains, blinds, cushions and light domestic upholstery. We would opt to use this fabric to make up a beautiful set of drapes for a sitting room as the fabric drapes so beautifully. The fabric has a good even pattern coverage, which is great for cushions, blinds and could manage some light upholstery. The fabric measures 1.37metres in width, excluding selvedge. While the pattern repeat measures at 25centimetres. While this is an unbranded fabric it has been included in the Digby & Willoughby by Honor Murray Interiors collection.